Guided by Voices’s August by Cake is out on April 7th. 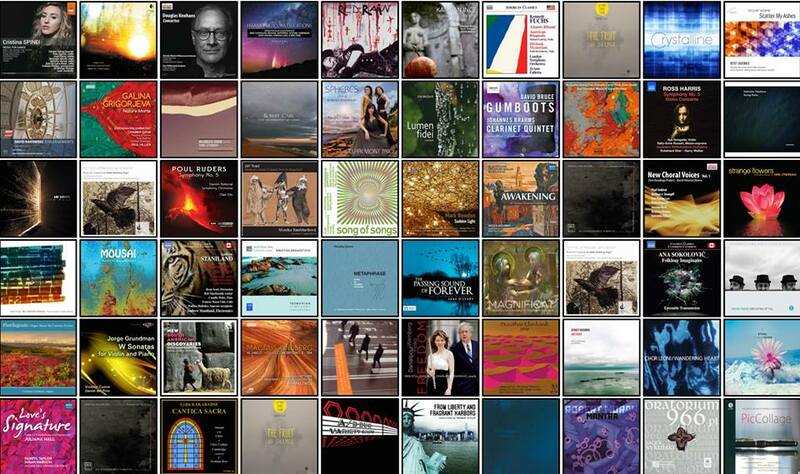 It is Robert Pollard’s one hundredth album! Pianist Matthew Shipp has been a prolific recording artist: he has released dozens of albums as a leader and appeared on dozens more as a collaborator. However, Piano Song, his 2017 recording for Thirsty Ear, will be his last for the imprint and, likely, his last for a US label (Shipp concedes that there may be a few more CDs released out of Europe). Shipp will continue to curate the releases on Thirsty Ear’s Blue Series (a jazz series that welcomes cross-genre efforts) and he will continue to play live. That said, for those of us who are fans of Shipp’s recordings, it is saddening to contemplate that he is nearing the end of the road on this part of his musical journey. Piano Song is a consistently engaging valedictory statement. A trio date with two solo tunes (all by Shipp), like much of Thirsty Ear’s output the CD is enthusiastically eclectic in terms of its stylistic profile. While bassist Michael Bisio and drummer Newman Taylor-Baker may not be as familiar to listeners as some of Shipp’s other collaborators, they form a beautifully well-connected rhythm section. Bisio’s solo on “The Cosmopolitan” is supple melodically and versatile harmonically. Taylor-Baker’s snare filigrees and drum fills considerably enliven both that tune and “Flying Carpet.” The rhythm section crafts a fluent and mysterious introduction for “Scrambled Brain.” Bisio employs double-stops in a wide-ranging part while Taylor-Baker coaxes all manner of subtleties from the snare drum, evolving into a more kinetic posture and adding cymbals and toms as the duo continues. This is a noteworthy aspect of Shipp’s approach to the trio: allowing duo subsets of the ensemble to really shine at various moments on the recording. Shipp’s playing, in addition to having its own original stamp showing, encompasses the work of a wide range of progenitors: Taylor, Hill, Monk, Tyner, and Ellington, just to name a few. Shipp’s short solo at the beginning of the proceedings, and his intro on “Silence of” combine modal and post-bop lyricism. He forcefully swings on “Micro Wave,” a tune that moves from quasi-bop licks to far more dissonant utterances. “Mind Space” finds him supplying fleet-fingered angular lines countered by Taylor-Baker, while repeated notes and chords as well as achingly slow Schoenbergian arpeggiations are accompanied by Bisio’s arco playing on “Void of Sea.” “The Nature Of” features Shipp’s signature low register melodies, in which a bass line is accompanied by a countermelody up an octave or so. Eventually, the piece expands to encompass the upper register too, with vertical stabs added to the duet texture. “Gravity Point” is rife with repetition, with halting ostinatos and tremolos set against a middle register piano solo and furious interplay from the rhythm section. The album closes with the title tune, a poignant ballad that the listener may imagine as Shipp waving goodbye to this chapter. Shipp’s discography is an impressive legacy and, at 56, one senses that he has much more to offer the jazz world in future incarnations. Fifty for the Future Commissioning Project — Kronos used Saturday February 11th’s concert to showcase some of the early entries in their “Fifty for the Future” project. 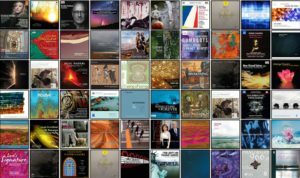 Not only is Kronos recording all of the pieces for young quartets to hear; their website also includes free to download PDFs of scores and parts. Thus, they are creating a new repertory for quartets eager to learn about contemporary music. Garth Knox — Some of the pieces, such as renowned violist Garth Knox’s “Dimensions” from Satellites, take on a didactic function. Knox features all manner of bowing techniques, including the surprisingly potent hissing sound of “air bowing.” It is a piece that is a catalog of special effects, but they are organically incorporated and the music is a brisk tour: it doesn’t overstay its welcome and stretch one’s appreciation of its charms. Malian percussionist Fode Lassana Diabate’s Sundata’s Time: The master balafonist joined Kronos onstage for the first completed “Fifty For the Future” composition: Sundata’s Time. Each movement spotlighted a different instrument, along with a few extra cadenzas for balafon thrown in. These were most welcome. Diabate plays with an extraordinary grace and fluidity that not only was stirring in its own right, but brought out a different character entirely in Kronos’s playing. It was a most simpatico collaboration. Kala Ramnath’s Amrit contains major scale ragas that craft a poignantly stirring work combining Eastern and Western gestures in a bold attempt to bring the two hemispheres’s musical traditions together. Rhiannon Giddens’s At the Purchaser’s Option brought blues and roots music to the fore, genres that Kronos has played eloquently since their inception. Perhaps the most attractive piece on the program in terms of musical surface, its message went deeper, serving as a sober reminder of slave trade in 19th Century America. Giddens has a new Nonesuch CD out this coming Friday, titled Freedom Highway. If Giddens’s piece was the most attractive on a surface level, Steve Reich’s Triple Quartet remained the weightiest in ambition and most thoroughly constructed of the programmed works. Written for Kronos, it features two virtual quartets on tape that accompany the live musicians (Kay and I are lobbying for more live performances of all three quartets, as that would really be something!). Overlapping ostinatos and stabbing melodic gestures provide a serious demeanor that resembles another piece played by Kronos with tape (of human voices): Different Trains. 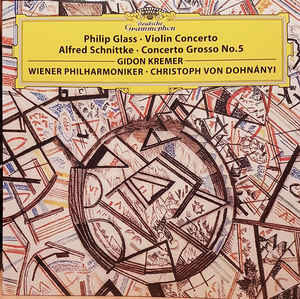 The rhythmic contours and syncopations provide ample amounts of challenges, but Kronos played seamlessly with the avatar-filled tape part. While “Fifty for the Future” is an important mission for Kronos, it is also heartening to hear some of their older repertoire being revived. The encore for the concert: an arrangement of “Strange Fruit,” the jazz protest song made famous by Billie Holiday. PRINCETON – I’ve wanted to hear violinist Gidon Kremer perform Estonian composer Arvo Pärt’s iconic work Fratres live since I was a teenager. Back then, Kremer’s rendition of the work on an ECM Records New Series CD was transfixing and game changing: it became an almost totemic art object for me as a composition student. On February 3rd, I got my wish at McCarter Theatre in Princeton. 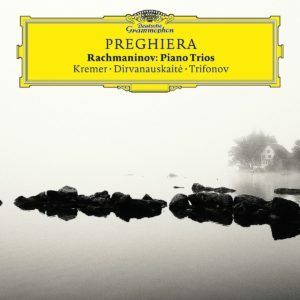 Unlike the recording, here Kremer pushed the proceedings forward, taking a quicker tempo and engaging in more taut phrasing than he did on the CD. The work is still transfixing, but it was moving to hear its story retold in a new way. 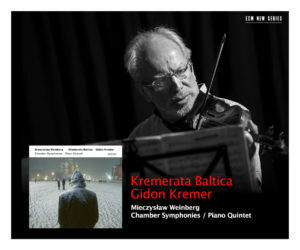 Kremer and Kremerata Baltica, the chamber orchestra of Eastern European musicians that he leads, have a new ECM CD out, this one of the Chamber Symphonies of Mieczysław Weinberg, late works that sit astride Mahlerian late Romanticism and modernism that is a close cousin to the works of Shostakovich. Clarinetist Mate Bekavac, who also appears on the recording, was a sterling-toned soloist, unwinding breathless phrases and coordinating and blending seamlessly with the strings. The second half of the concert had an interested concept that provided a bit of dramatic flair. 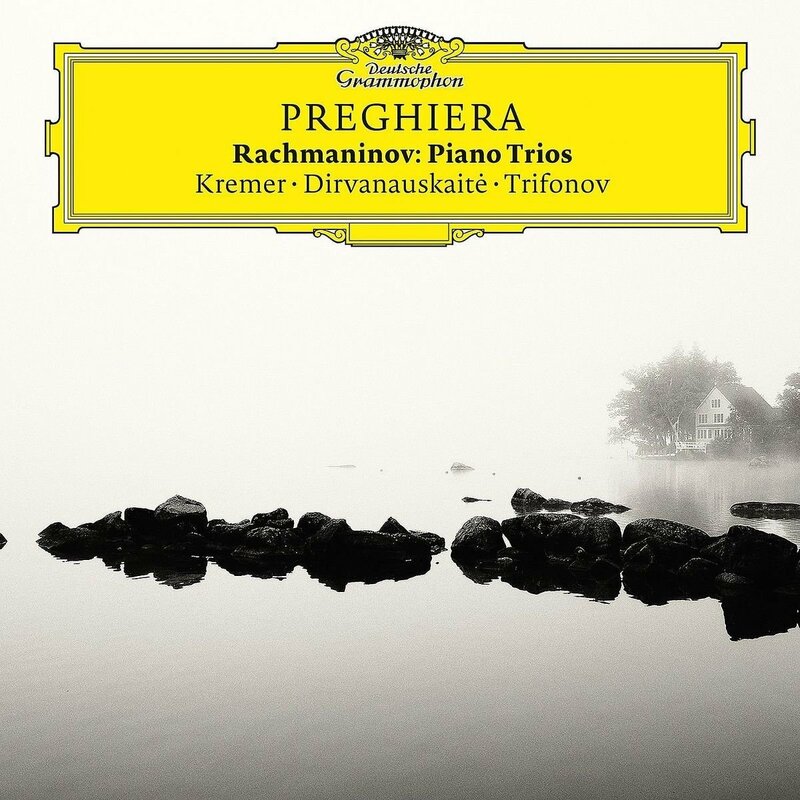 Kremer began it with Tchaikovsky’s Serenade Melancolique, leaving the stage on the last note, which led directly into Kremerata Baltica’s rendition of Mussorgsky’s Pictures at an Exhibition. This was resolutely played, but the absence of brass and winds led to some strangely attenuated passages (Andrei Pushkarev, a percussionist, performed formidable gymnastics to reach all of the score’s instruments). At the piece’s conclusion, Kremer returned to the stage, playing Valentin Silvestrov’s solo Serenade nearly attacca. There were yet more surprises to come. Two encores, Stankovich’s Lullaby and Alfred Schnittke’s Polka gave the audience distinct flavors of music-making – one poignant and one buoyant – to send them home. This is Kremer’s seventieth birthday year. To celebrate, he has not only released the Weinberg disc on ECM, but has also recorded Rachmaninov’s Piano Trios and the Philip Glass’s Violin Concerto (available on vinyl!) for DG. Jens Lekman has announced his new album, Life Will See You Now, will be released on February 17th via Secretly Canadian. He’s shared a video of the leadoff single, “What’s That Perfume You Wear?” and is touring in support of the recording, both in the United States and Europe (dates below). Our pal Marvin Rosen says: “I am all packed and ready to leave home for WPRB. In a little over an hour, the 2016 VIVA 21ST CENTURY PLUS – “INTERNATIONAL EDITION” – 25-HOUR LIVE WPRB RADIO BROADCAST – goes on the air. My piece, Quintet 2, will be featured around 3 PM. Hope you’ll tune in!